The 4Paradigm has completed more than 2000 AI landing cases, dealing with problems in financial, medical, governmental, energy, retail, media sectors and so on. On April 10, 2019, Haidian (Zhongguancun Science City) “City Brain” Release Conference (海淀城市大脑发布会) was held in Beijing. The conference launched the top-level planning outline of Haidian City Brain and established the Haidian City Brain Science and Technology Industry Alliance. The overall structure of Haidian City Brain Construction is "1+1+2+N" mode, meaning one sensor networks, one intelligent cloud platform, two centers consisting of big data and AI computational processing plus N innovative applications. 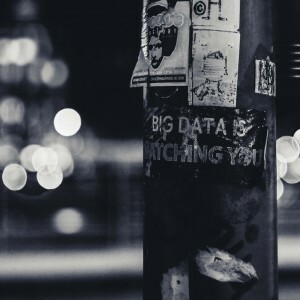 Based on the city-wide sensor network throughout Haidian as the hardware foundation and big data as the core resource, the government-led, multi-participations project will fully sense, analyze, interact, respond and apply those technologies to better serve the Haidian District functioning like a huge brain by using the IoT, cloud computing, big data, and artificial intelligence. 4Paradigm (第四范式), as the first batch of alliance enterprises, will be joining in the construction of Haidian City Brain Project. DAI Wenyuan (戴文渊), founder and CEO of the fourth paradigm, was also invited to attend the Release Conference and to give a speech. DAI Wenyuan, once led a team in college and won the first place in the ACM World Championship, which is considered as the Olympic Games in programming, is recon as the genius in Artificial Intelligence and deep learning. After graduation, he went to Baidu Fengchao Team to build China's largest machine learning system and won Baidu's highest award. Later he entered Huawei Noah's Ark Lab as the chief scientist and won the Huawei "President Award". Founded in 2015, 4Paradigm now has already finished its Series C funding, raising over CNY 1 billion, with a valuation of around USD 1.2 billion. Among its investors are Sequoia Capital (红杉资本)and Sinovation Ventures (创新工场). The other thing worth mentioning is that 4Paradigm is the only startup that has been invested in by all Big Five (Bank of China, Agricultural Bank of China, Industrial and Commercial Bank of China, China Construction Bank, Bank of Communications)state-owned commercial banks in China. Dai Wenyuan aims to provide artificial intelligence technology accessible and friendly to everybody, he also proposed the BRAIN theory of artificial intelligence development. The five letters represent the five necessary conditions for the successful application of artificial intelligence: B for Big data (Big data), R for Response (continuous feedback), A for Algorithm (top Algorithm), I for Infrastructure (infrastructure is computing resource) and N and Needs (a clear understanding of customer's demand). The 4 Paradigm has completed for more than 2000 AI landing cases, dealing with problems in financial, medical, governmental, energy, retail, media sectors and so on. Taking the financial sector as an example, the 4Paradigm joins hands with major banks to build an AI application system to optimize the bank from a process-based system to a high real-time intelligent decision-making system based on the machine learning model. In the medical field, the Ruining Zhitang (瑞宁知糖) project cooperated with Shanghai Ruijin Hospital (上海瑞金医院) focuses on virtual metabolism research and chronic disease management. It has been put into use in more than 400 hospitals in more than 30 provinces and cities. On the Internet media side, the fourth paradigm has helped more than 400 media companies in the world to implement information flow recommendation based on AI technology, bringing hundreds of millions of users personalized browsing experience. 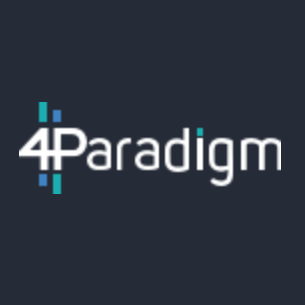 Founded in early 2015, 4Paradigm is one of the world’s leading AI technology and service providers for industrial applications.